Discrete, definable lesions provide best results. Oedematous, cystic, small or extremely hard or fibrous (e.g. ossified epuli, collagenous hamartomas) lesions may not provide many or any cells. Speed of collection and sample preparation is very important to avoid cell clotting. Samples should be prepared immediately on collection. Don’t panic about haemodilution ('blood contamination')! Provided that you have also sampled sufficient ‘type’ cells, the presence of blood should not be considered problematic, and in some instances a significant amount of blood is to be expected e.g. vascular tumours, thyroid gland tumours, liver and spleen aspirates. If you have any questions or if you are concerned about the quality of your cytology samples and don't know how to fix it, please just give us a call and speak to one of the pathologists who will be more than happy to try and help. 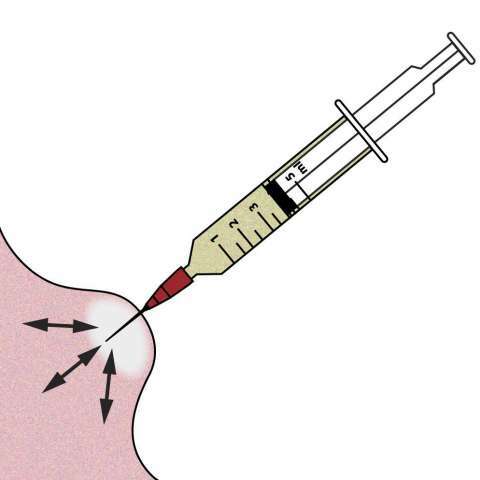 Insert the needle into the lesion e.g. 21-23G needle and a 2-5ml syringe. 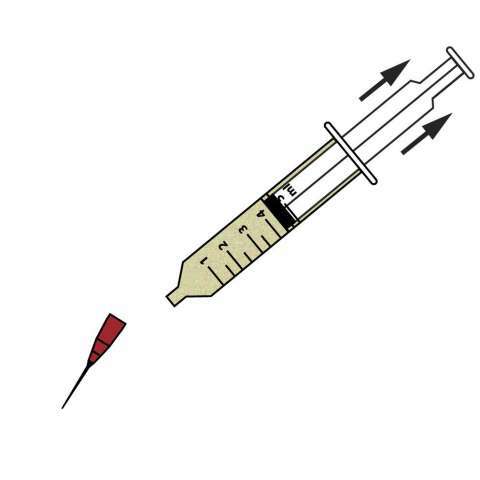 Withdraw the plunger creating 1.5-4ml of vacuum. 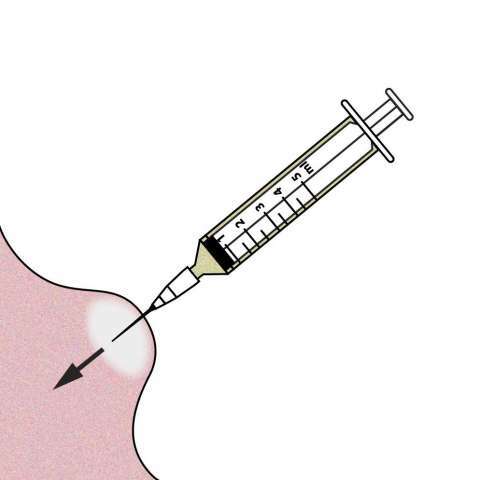 Whilst maintaining the vacuum, redirect the tip of the needle along multiple planes within the lesion. You may see blood or other material appear in the needle hub. Before withdrawing the needle from the lesion, release the plunger thereby nullifying the vacuum. 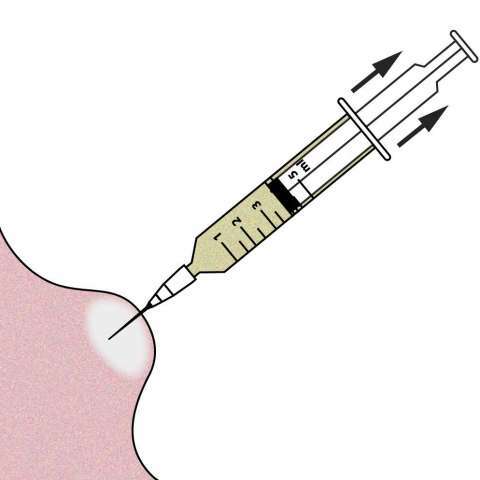 Withdraw the needle and syringe from the lesion. 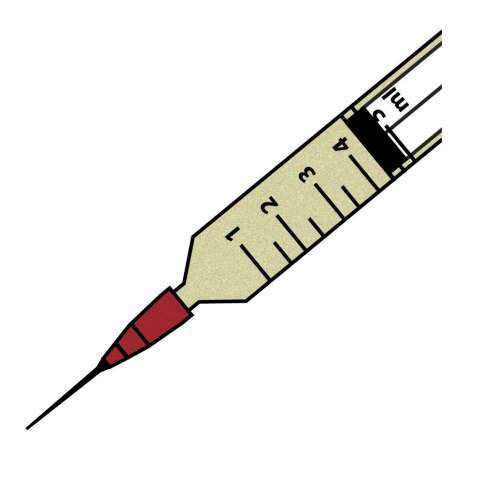 Detach the needle from the syringe. Fill the syringe with air. 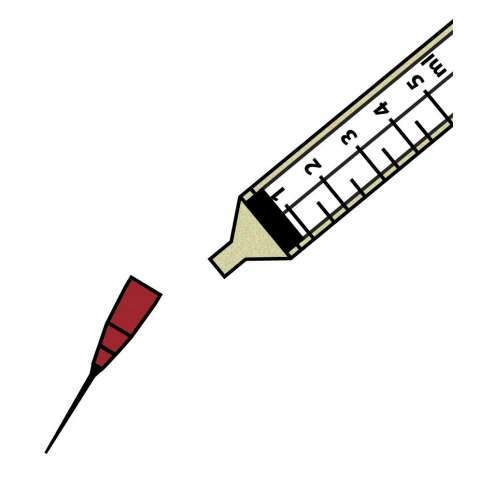 Reattach the needle to the syringe. Advance the plunger expelling the material onto the slide. Note: keep the tip of the needle close to the slide. 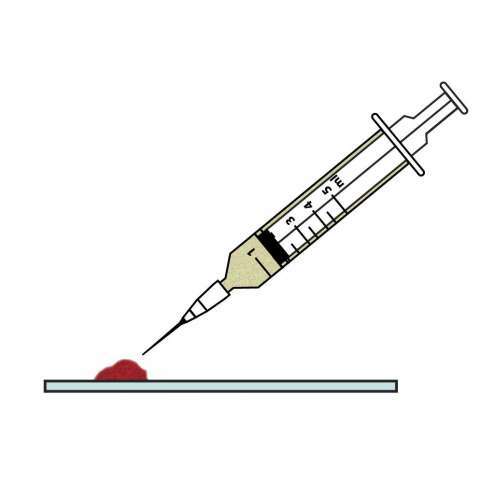 See section on making good cytology smears for the next step. * If the negative pressure (vacuum) is not released before the needle is withdrawn from the lesion, cells will be sucked into the barrel and the syringe and will be very difficult to recover. The cells should remain in the shaft of the needle. I run an independent first opinion and referral hospital and have used Cytopath for over 15 years. I have yet to hear of a lab that can match the speed and accuracy of their histology and cytology reports. The pathologists always interpret their findings in light of clinical presentation and seem more than happy to discuss those tricky cases that need a bit more thought. Colleagues have in the past been tempted by the large commercial labs but always come back to Cytopath!